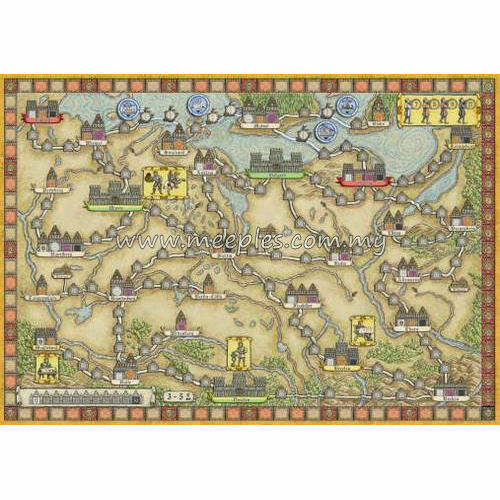 This is the first expansion for Hansa Teutonica. This expansion includes 9 mission cards for the basic map. Each mission card shows three cities and the player can receive additional victory points for Kontors in these cities. In addition, the expansion includes a new map. This map introduces new items into the game: e.g. Ocean trade routes and permanent bonus markers. *NOTE* This is not the full game, Hansa Teutonica is required for play.